Water resistant - PU coated with critically taped seams. Mesh lined body, polyester lined sleeves. Soft touch black inner collar. Full zip with inner storm flap and chinguard. Curved back hem with elasticated drawcord. 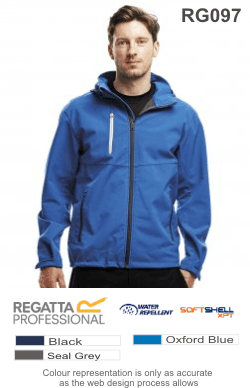 Breathable, three layer soft shell fabric is windproof and water resistant. Adjustable cuffs. Front zip pockets. Right chest zip pocket. Curved back hem. Full YKK zip with inner storm flap and chin guard. Sealed pockets with waterproof zips on left sleeve and right chest. Inner pocket with audio port. 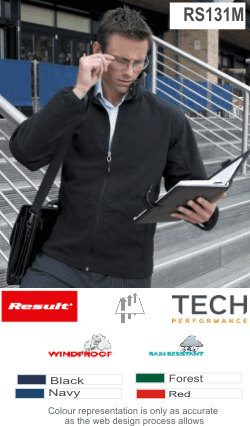 Polyester outer with polyester knitted liner, three layer, soft touch, soft shell fabric. Collar high full zip with inner storm flap and chin guard. Soft shell two layer stretch fabric: outer layer 93% polyester/7% spandex bonded to 100% polyester sports mesh lining. 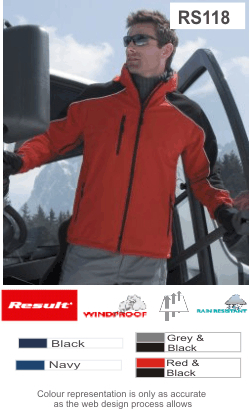 Windproof, water resistant and breathable (1000g). Contrast ripstop shoulders and arm scuff panels. Concealed lined hood with wired visor, drawcord adjusters and chin guard. Full front zip with easy open zip pullers. Reflective piping to shoulders and sleeves. Mesh lined zip chest pocket. Mesh lined zip side pockets. Breathable with ATL DWR water repellent finish. Polyester mesh lining at front panels. Ripstop panels at shoulders, upper sleeves and outer collar. Concealed, lined hood with drawcord and chin guard. Full zip with inner storm flap. Two front zip pockets and one right chest zip pocket. 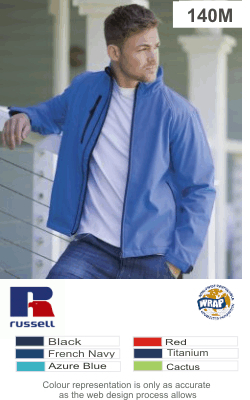 Woven soft shell XPT fabric has a 96% polyester/4% elastane outer wind resistant membrane and polyester fleece backing. 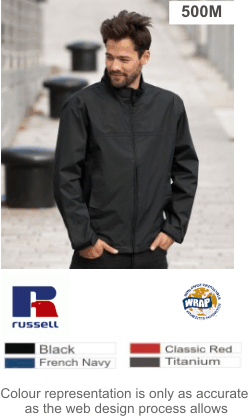 Full length waterproof zip with inner storm flap and chin guard. Easy tear adjustable open cuffs. Branding on left sleeve and cuffs. Three layer ultra lite soft shell: outer layer 93% polyester/7% elastane, mid layer TECH performance membrane, bonded polyester sport mesh lining. 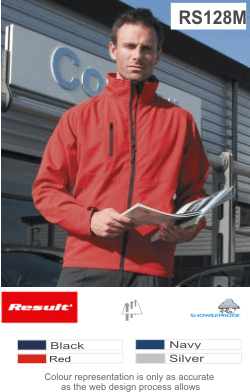 Outer layer polyester combed pile soft shell. 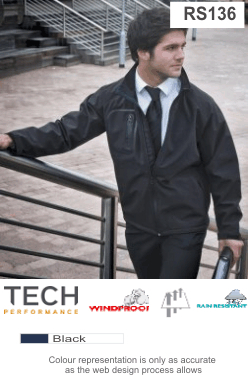 Mid layer TECH performance breathable membrane. Full zip with neck guard. Three layer bonded soft shell. 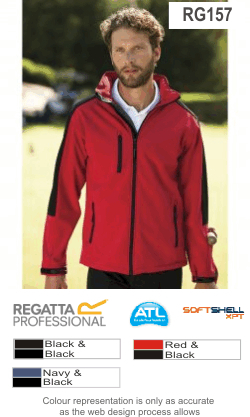 Woven soft shell XPT fabric has a 96% polyester/4% elastane outer, wind resistant membrane and polyester fleece backing. 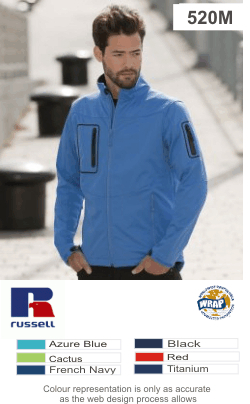 Breathable with durable water repellent finish. Branding on back of collar and left sleeve.